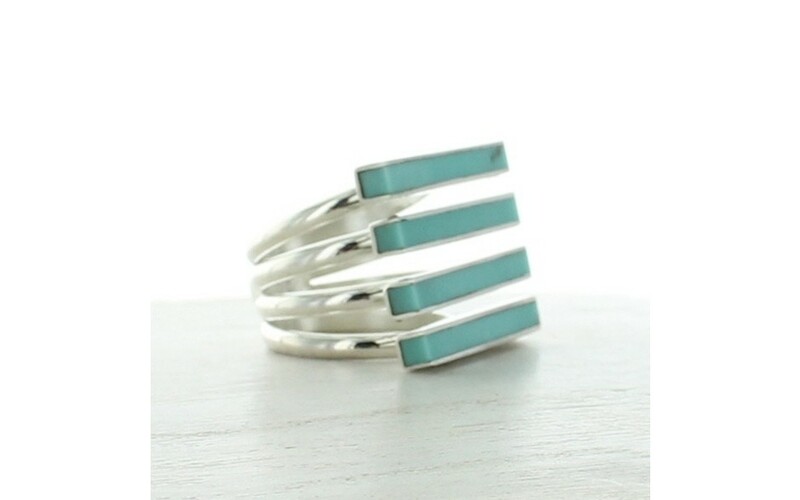 This ultra contemporary east-west ring features four rows of rectangular cut Campitos turquoise each set in a sterling silver bezel. The quad-split shank is wide so we suggest ordering one size larger than your normal. 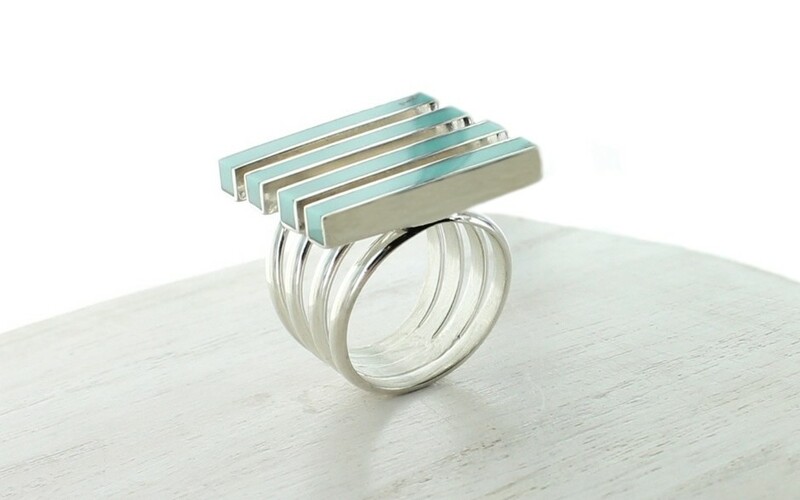 The setting measures 15/16" wide by 13/16" tall. 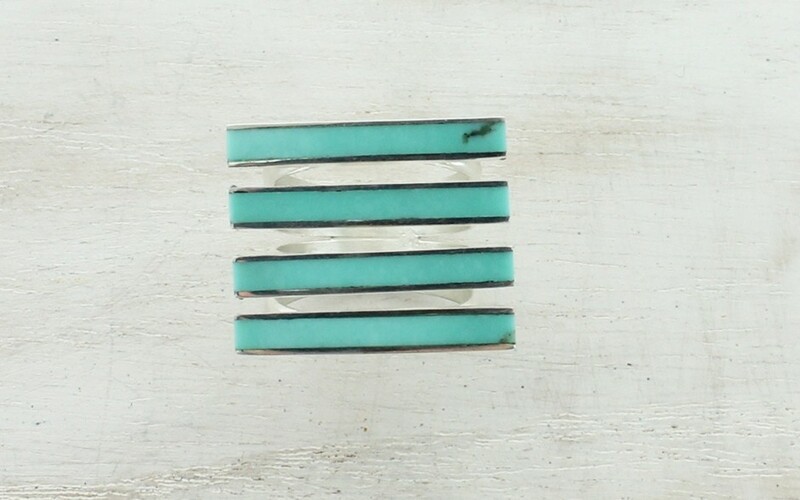 The turquoise was mined in Mexico.